Loyal translated the vision for an online community into a prototype of a community platform for 100Kin10, a networked approach of 200+ partners supporting President Obama’s call to place 100K STEM teachers in American classrooms over by 2021. Loyal lead customer development, community strategy and product strategy, and sourced and onboarded a design/dev collaborator to build the prototype. The platform was privately released to 100Kin10’s partner community in spring 2015. As part of larger strategy scope of work, Loyal co-led campaign strategy and oversaw partnerships, influencer management and design collaborations for General Electric’s groundbreaking #3DPrintMyGift campaign. The campaign was executed along-side BBDO, VaynerMedia, SubRosa, Undercurrent and SmallGirlsPR, and influencers/brands included Spotify, Stacy London, Craig Breslow, moot and more. Concept to campaign launch was 1.5 months. + GE was so happy with the campaign results that they wanted to do it all over again the next day! Loyal set the strategy for the digital overhaul of a Fortune 50 VC’s portfolio community platform. Challenged by an atypical user demographic, Loyal lead customer development, community-focused digital strategy, and content strategy to improve platform performance and increase digital engagement. Additionally, we set up the in-house innovation program team for on-going execution. 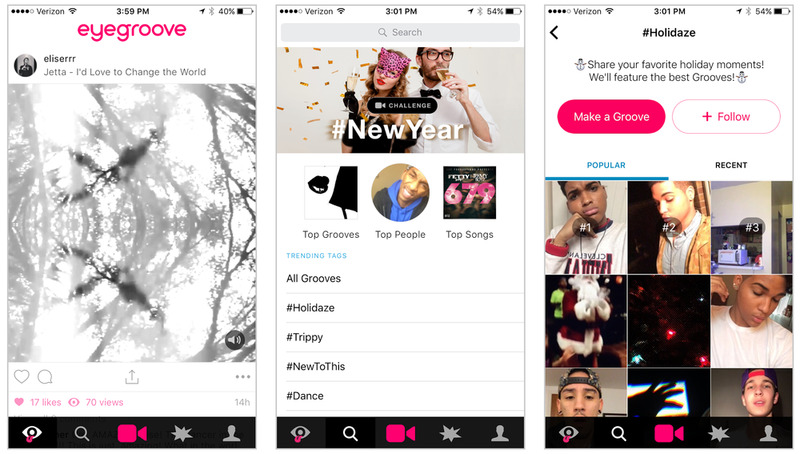 Loyal built a community of ambassadors to beta test and seed content for the new product release of Eyegroove, a social music and video storytelling iOS app. Post-launch, with significant user and engagement growth, we transitioned the community to a super user program, created an on-going metrics report for community KPIs, tested in-app campaign strategies, identified/onboarded an executive community hire and advised on community strategy. Loyal lead the community and product launch for #climate, an iOS app that helps everyday consumers discover, share and take action on nonprofits’ climate change initiatives. We onboarded the internal community of nonprofits and influencers, including Greenpeace, Obama for America, The Sierra Club, the NBA, Guns N’ Roses and Mark Ruffalo, as well as developed all mobile and social content and created custom analytics to measure consumer performance. Loyal's targeted and results-oriented methodology put us on a solid path to realizing our goal of a stronger, more engaged community through an actionable, on–brand, and sustainable strategy. We appreciate the professional support and guidance Loyal has given us in conceptualizing how to better support our community of National Geographic Educators. Loyal felt like an extension of my own team, and the work produced still sets the standard. We would work with Loyal again to refine and take it one step further. [Loyal] is the perfect balance of collaborator and catalyst. [Loyal] operates at the optimal level of engagement for any multi-tasking, manic leader of the world's next great business. People give brands meaning. We're your people.